A full squad of WallachBeth Capital team members cycled through Saxon Woods Park to participate in the Annual Wall Street Rides Far in White Plains, NY to benefit the Autism Science Foundation. 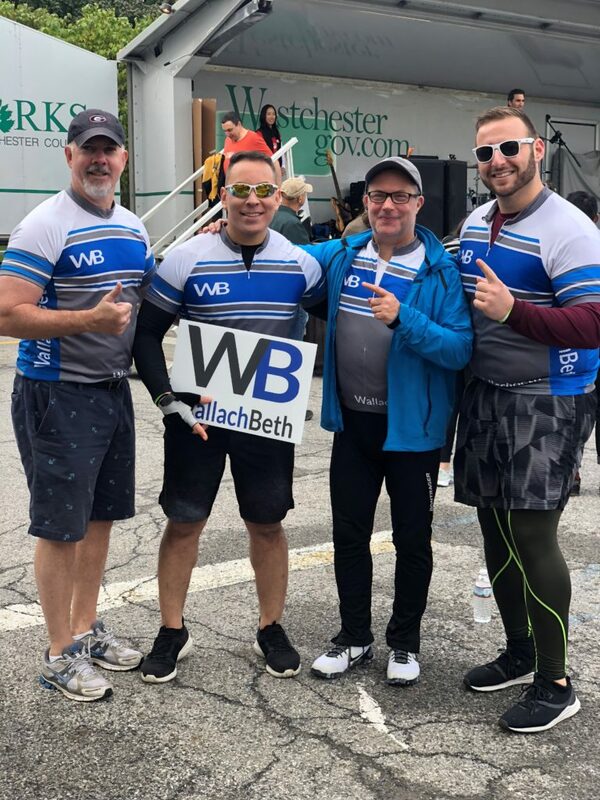 The squad, led by team captain Alan Roldan, managing director of the Institutional Cross Asset Solutions team, embraced WallachBeth’s continued commitment to the community and philanthropic causes. From left to right: James Ryan, Alan Roldan, Stephen Markowitz, Michael Beth. WallachBeth Capital is a leading provider of institutional execution services, offering our clients a full spectrum of solutions to help them navigate increasingly complex markets.